8 days has past since I told you all I was going to try being gluten/wheat free for 30 days, and I can honestly say it's been a lot easier than I'd thought. 1. I don't actually eat a lot of wheat - but I guess ONE slice of bread or one portion is enough to affect you if you are intolerant to it. 2. How bloody EXPENSIVE are gluten free alternatives?? It's always the case. If anything is FREE of something the prices goes up 300% and that's not fair. If you genuinely can't tolerate certain food groups then it feels crazy that some big corporation cashes in on it! 1. McDonalds! My staple diet normally consists of Donken (as we say in Sweden) and Burger King. 3. Convenience - the rest of the family eat 'normal' food and so I do too. 4. CAKES CAKES CUPCAKES. I love cake. Cake cake CAKES. 1/3 of the ingredients in cake is gluten. Let's not go into this too deep, but I know food. Since I was 10 I've know every calorie, chemical, additive and ingredient in ANYTHING. I've spent half my life analyse packaging to exclude certain types of content. My life has always revolved around food in one way or another. So I know exactly what contains gluten and or wheat. This hasn't been hard. What I don't do, that many severely intolerant people do is exclude items that has been processed in the same factory as gluten. So I still eat and buy items not considered 'safe' like oats, for example. I had a weak day where I NEEDED McDonald's, but after telling myself I'm just not going to fail these 30 days the urge swiftly disappeared (and I ate a bucket load of gluten free brownies instead... whoops). And that's been the annoying part. 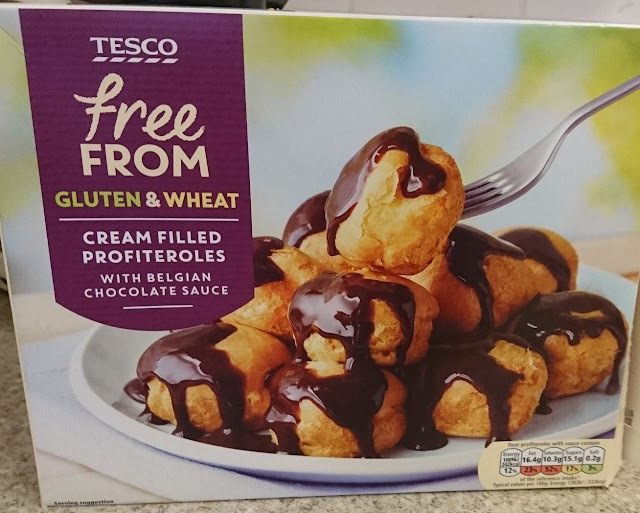 By switching the gluten filled carbohydrates for a different counterpart I've relied much heavier on sweets - which I didn't want to do! But I will take one battle at a time. So has being gluten free changed anything yet? Actually, pretty much the day after I had a lot more energy, and that same pattern followed for the next 5 days. I could actually get out of bed without hassle and I've spent a lot of time cleaning - something I'm often too tired to do! People who are intolerant to gluten often do feel fatigued. Chronically so. And another pleasant side effect has been NO BLOATING. My stomach has rarely been this flat. Knowing the symptoms of gluten intolerance I am pretty sure I do have it. But the sad fact it, most of us do. Our intestines have moved away from hundreds of years relaying on grains and it's taken it's toll on our bodies. However, only 1% of the population are celiacs - which is a condition that breaks down the fine hair inside your intestines and can cause permanent damage, and thankfully, most do not have that! I did talk to a doctor last week who think that me and Eden (who share my symptoms) should be tested for wheat intolerance, but other than excluding it from our diet, there's not much else they can do to check. That's why I want to finish these 30 days, and then see if introducing wheat again will make me feel worse. And then I know!